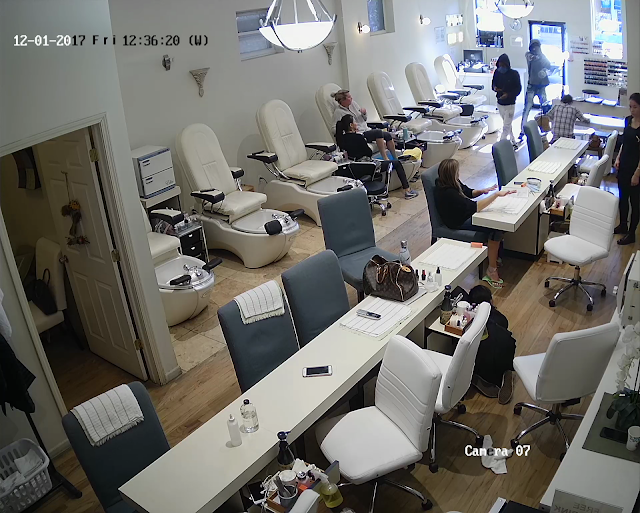 Detectives released a community alert and jarring surveillance images of a Roscoe Village nail salon robbery late last night. 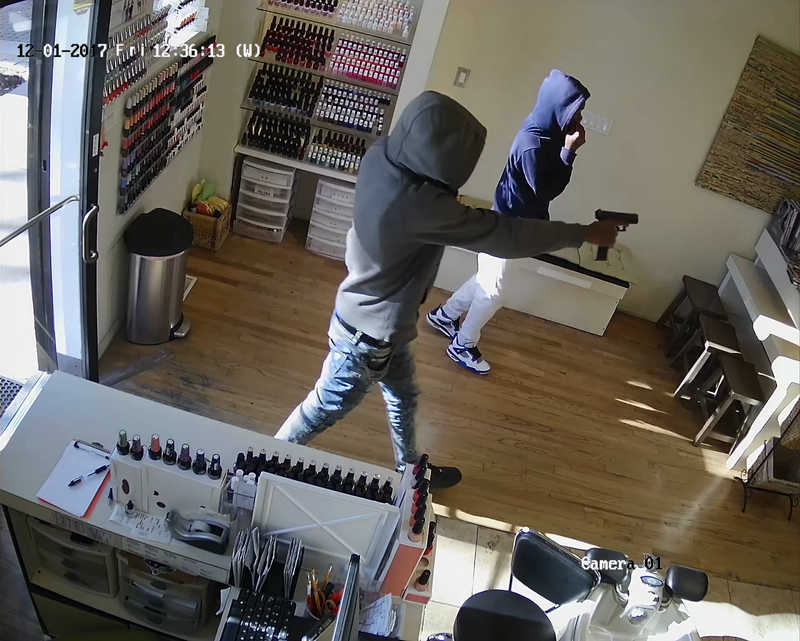 We reported on the crime just three hours after it unfolded at the 2X10 Nail Salon, 2112 West Roscoe around 11:40 a.m. on December 1. Two gunmen seen here rounded up four cellphones and took money from the register before running away, police said. In addition to the 2X10 heist seen above, police say these offenders held up another salon Monday afternoon in the 4100 block of West Peterson. Images from that robbery are seen below. 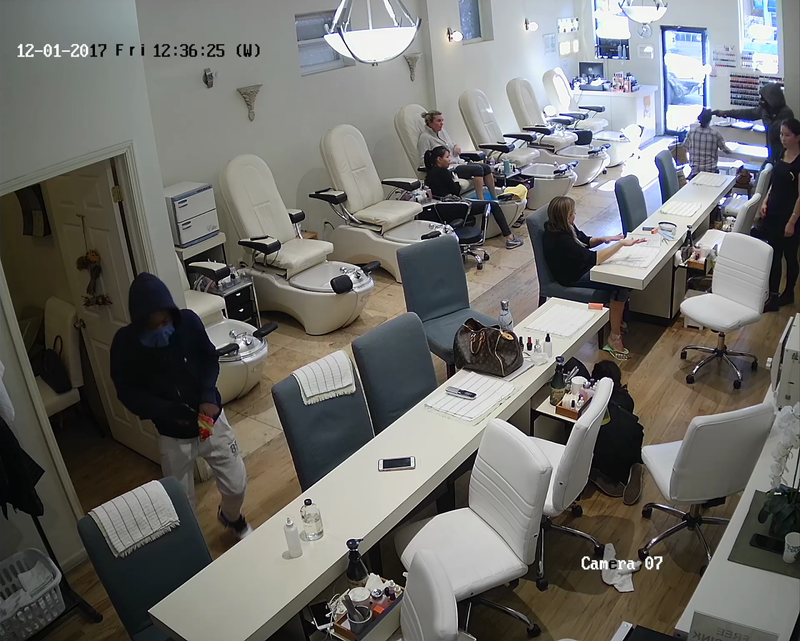 Police said that the duo is wanted for “multiple” nail salon robberies. Police said the offenders are two black men between 16- and 18-years-old. They stand 5’4” to 5’8” tall and weigh 130 to 160 pounds. The robbers typically wear dark hoodies with blue jeans or sweatpants that may have the number “85” on the thigh or hip. Anyone with information about these suspects is asked to call Area North investigators at (312) 744-8263. CWB's newsgathering efforts are funded 100% by donations to our Tip Jar.